We love our babies. But sometimes they can be a handful keeping you awake all day and night. If you want to grab some sleep, a baby monitor comes in as a handy gadget. This device monitors the sound of your baby, so you don’t have to be in the nursery all the time. 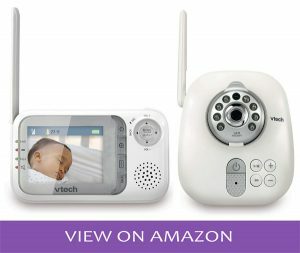 With advancements, it is now possible to get baby monitors with cameras such that they can give you a live video feed. This way, you can check in on your baby from your phone and see the way they are sleeping so that you can be there in time to cuddle them back to sleep. Some even have lullabies that will soothe your baby back to sleep. If you are in searching the Best Baby Monitors for your baby, here are our top picks for the best. Infant Optics DXR is one of top-rated, best baby monitor with clear visuals. Featuring a wide 3.5-inch LCD color screen, this device will let you keep an eye on your baby and never miss a stir or a single cry for help. You will like that it uses 2.4GHz frequency with FHSS which encrypts the signals and protects your baby in the process. Besides, you can view everything when the room light is switched off, thanks to night vision IR light. You have a camera with interchangeable lenses such that you can customize it to get the exact features that you want. 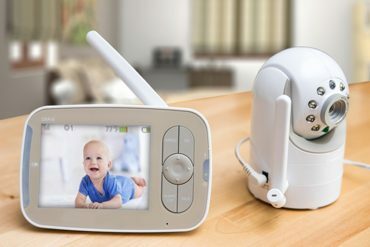 On the monitor, it allows you to pan, tilt, and zoom for a close look at your baby and the immediate surroundings. It has a two-way talk function so you can to talk to your baby when they need to hear mama’s voice. It helps to send your baby back to sleep when you can’t be in the nursery at that very moment. The monitor has sound-activated LEDs that come alive when the baby makes noise that needs attention. 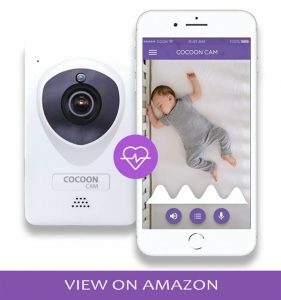 Cocoon Cam Plus is hands down one of the most functional best baby monitor for the modern mum. This model represents growth in this industry thanks to the inclusion of a baby breathing tracker. And don’t worry, it has approval from IRB meaning your baby is not at any risk when around the device. This monitor transmits live data to an app that you will download to an Android or iOS smartphone. It gives you the breathing graph and instant alerts when your baby is awake, crying, or going back to sleep. Not only that, you have to adjust the lens by yourself when you want to view your baby into the superior focus. Its night vision capabilities also come in handy since you will be able to zoom and see your baby up close. The camera also features two-way talk so the baby can also hear you. It transmits HD quality videos so you won’t miss a thing just by looking at your smartphone’s screen. The good thing is that you can turn the camera on and off. If you are looking for a breathing baby monitor and do not want to attach a tracker on your baby’s wrist, you may have just found the right pick for you. As a new parent keeping it sane and raising your baby can seem far-fetched. But when you have a monitor that tracks the baby’s breathing and heart rate, you have some peace of mind. 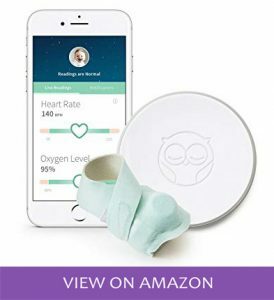 The Owlet monitor uses pulse oximetry that is clinically proven to keep track of your baby’s heart rate and oxygen levels. You are supplied with three smart socks that wrap around the baby’s foot (Perfect for 0-18 months babies). These are easily washable, so you don’t have to go back to the store if it becomes soiled. The smart sock transmits signals via Bluetooth to a base station up to 100ft away. The base station will light up to if the heart rate or breathing is too high or too shallow. It can also transmit to the Owlet’s Cloud app that will give you live transmissions wherever you are. This device is designed to work with one baby, so if you have twins, you will have to use two phones where you can read the heart rate and oxygen levels of baby number two on the second phone. 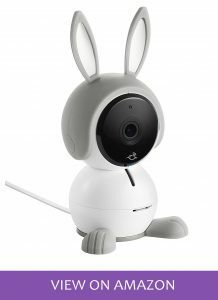 NETGEAR Arlo prides itself as a smart baby monitor that will give you real value for your money. With smart features and advanced camera specs, it is all you need to have a smooth time raising your baby. This monitor transmits wireless signals to the Arlo app which lets you check in at any time of day and night. You will be able to view crisp, clear 1080p HD videos that display every detail you need to see on the baby and in their room. It is one of the best wireless baby monitors since you can view footage from a myriad of devices. Say your smartphone, tablet, or even laptop. If you are in the office and need to see your baby, just log into the app and have a live feed from the camera. It gives you instant smart alerts from the sound to the motion, and even the air quality in the baby’s room. 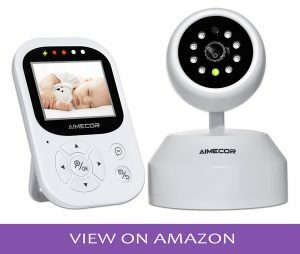 This baby monitor also comes with humidity and temperature sensors as well as a two-way wireless talk and night vision that allows you to see the baby in the dark. 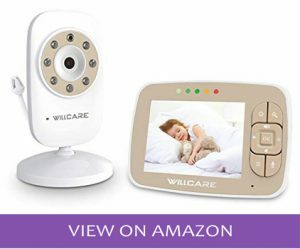 It is one of the well-rounded best baby monitor that do not depend on range for transmission. 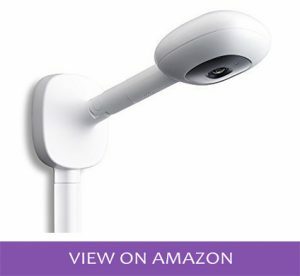 Are you looking for a cheap baby monitor that is practical for a newborn? Well, you will get everything you want in the Willcare brand. Presented as a small, portable monitor, you can easily carry it in a bag. The receiver has a 3.5-inch screen that delivers detailed images of your baby. It has two-way audio where you not only get to listen to the cries of the baby, but it also allows you to talk and soothe your baby back to sleep. You will like that it has a clear night vision to check in your baby without turning on the lights. Not to mention, it has temperature sensors that help monitor the room. 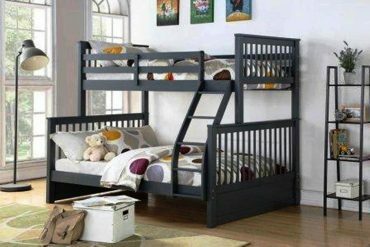 This feature allows you to maintain the right sleeping conditions for your baby. With the eco-mode function, the monitor turns the screen off to preserve the battery life for longer. It is such an incredible monitor to keep your days sane. Nanit is a day and night baby monitor. It provides HD live streaming with night vision and zoom options. The monitor mounts to the wall so you can have it on top of the baby’s crib. 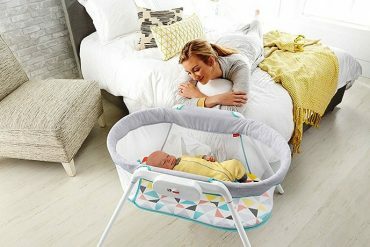 It gives a nice view of the head of the baby especially you have just picked one of the baby bassinets, and you would like to see the position your baby is sleeping. Monitoring your baby will prevent suffocation which is a risk that mothers have to be aware of every day. Nanit has smart sensors including temperature and humidity sensors. It delivers crystal clear audio and incredible live footage on the Nanit smartphone app. Not only that, It will show a report of the previous night, so you will know your baby’s sleeping patterns. Nothing feels as good as sharing your baby’s moments and walking the milestones with them. The companion app gives you some pretty informative tips that will help you in the parenting journey. No wonder, it is a top pick for best baby monitoring systems. If you are searching for a baby monitoring system for a big house, you will want a long-range monitor. The VTech VM321 has a 1000ft range so it can transmit between walls to the parent’s receiver. 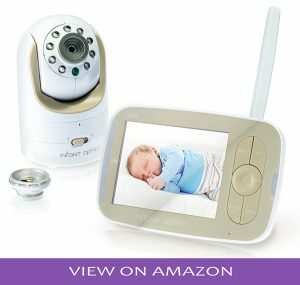 The monitor is wall-mountable, and the camera is adjustable so that you can choose the best viewing angle for your baby. It also has a two-way intercom like other devices in this price range. On the parent’s monitor, you will receive full-color videos and the ability to view up to four cameras on a split screen. You will also like that you can mute the sound and receive vibrations. It gives temperature readings of the room which contributes to creating a comfortable sleeping environment for the baby. The device has five soothing lullabies that make it easy for the baby to go back to sleep or stay calm in their crib when you are not around to hold them. It is such a relief to own a long-range model that is a best-rated video monitor. AIMECOR makes this list of the best baby monitors owing to its reliability and highly functional features. With a 2.4-inch IPS display, the monitor delivers brilliant HD videos to watch your baby as they sleep and get alerts when they are awake. It has super clear night vision that is the envy of other baby monitors. The monitor can be paired with four additional cameras. This means you can opt to use four cameras in the same room all install them all around the home to monitor other members of your family. This monitor includes two-way audio, low battery indicator, out of range indicator, and VOX mode. It is a secure baby monitor since it operates on an encrypted 2.4GHz baby monitor frequency. Considering the build and heavy-duty speakers, you have a winner in this model. Honrane is an exceptional Wi-Fi baby monitor that transmits live feeds straight to your phone. 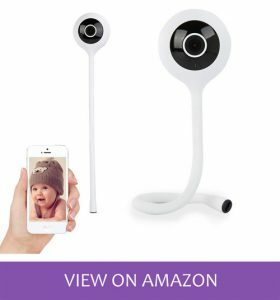 It allows you to see your baby from anywhere as long as you have Wi-Fi. 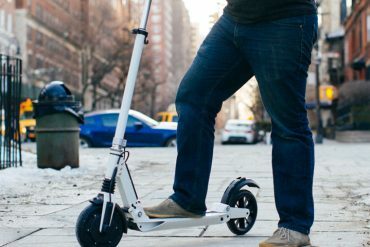 It sets up fast, and soon you will be checking from the office, kitchen, or the backyard. This monitor supports night vision, and it also has humidity and temperature monitoring. It has two-way communication and eight lullabies that will come in handy when lulling your baby. The camera utilizes a 2.3mm wide-angle lens it can view over a 115-degree area. This ensures it does not miss what is happening around your baby. Not to mention, it can save the footage on a 128GB SD card or save the videos to the cloud. What better way to preserve your baby’s moments than with one the best baby monitors on the market? The UU Infant passes as a best wireless baby monitor as it uses secure 2.4GHz frequency to transmit digital signals. It has a range of 825ft. So whether you live in a big home or apartment, you will know you are always in range. This monitor has night vision and a host of other features including a 2x digital zoom, lullabies, sound-activated LEDs, and manual pan and tilt. It gives you just about any feature you would like for a satisfactory baby monitoring experience. When it comes to the battery level, this monitor can manage up to 6 hours in normal mode and 12 hours in the Eco mode. It allows you to use the power saver mode while still getting sound alerts when the screen is not on. This monitor can be paired with four other cameras for a wholesome view of the nursery or around the house. And you won’t be paying extra for any of the high-end features as it come as a cheap baby monitor. What Type of Monitor do you want? Baby monitors come in either digital or analog technologies. An analog baby monitor is cheap. 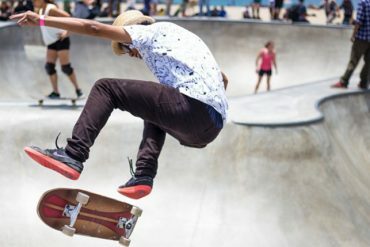 But it comes with the risk of privacy intrusions and lost connection as they connect via an unsecured 2.4GHz wireless frequency that is used by other household items like your microwave. A digital baby monitor, on the other hand, transmits encrypted signals from the nursery. These are long-range signals that cannot be hacked. No one will listen in on your baby which can potentially put your baby in danger. Your baby is the ultimate reason why you are getting a monitor. As such, it should cater to their needs. For example, if your child moves a lot and tends to make noises, you may want to see whether any stirring is brought about by a bad position. That is where a monitor with live video comes in. If your baby only makes sounds where they need something, you can save some cash by getting an audio-only monitor. Knowing the operating distance of the monitor will let you know how far away from the baby you can be and still get alerts from the monitor. This feature is essential for big homes where the nursery could be more than a few meters from the kitchen and the living room. The last thing you want is being unable to monitor your baby because the device died on you without warning. With a low battery signal, you will know when to recharge or change the batteries in time. 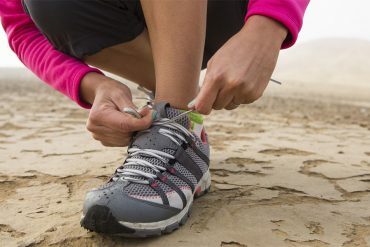 Finding the perfect monitoring device is not an easy task. There are a lot of varieties available in the market but choosing the right one is obviously getting the time. However, we are searching the list of top reviewed Best Baby Monitors that will help wrap your head around the whole parenting process. It doesn’t have to be a mixed feeling affair since you can run your home and raise your baby by being there for them at all times. One of these baby monitors is all you need to ease the stress and increase the joy of parenthood. “Happiness is…getting time to sleep, when your baby sleeps”.